It's no secret that millions of people look to Barack and Michelle Obama as #RelationshipGoals. But Michelle Obama is keeping things refreshingly honest and candid by sharing that, just like every other couple, the pair has gone through some difficult times during their 26 years of marriage. In an interview with Oprah Winfrey featured in the December issue of Elle, the former first lady shared that she and the former president went to marriage counseling at the beginning of his presidency. A large part of the reason they sought counseling was because Michelle Obama had to adjust to parenting solo on many late nights. "When you get married and have kids, your whole plan, once again, gets upended. Especially if you get married to somebody who has a career that swallows up everything, which is what politics is," she told Winfrey. "I've got two kids, and I'm trying to hold everything down while he's traveling back and forth from Washington or Springfield." In order to be proactive, the couple sought marriage counseling to "work through this stuff." Michelle Obama said therapy improved both her relationship and her own sense of self. In particular, she realized she felt "vulnerable" during the couple's time apart and she needed to adjust her idea of what marriage would always be like. "I always thought love was up close. Love is the dinner table, love is consistency, it is presence," Obama said. "So I had to share my vulnerability and also learn to love differently. It was an important part of my journey of becoming. Understanding how to become us." 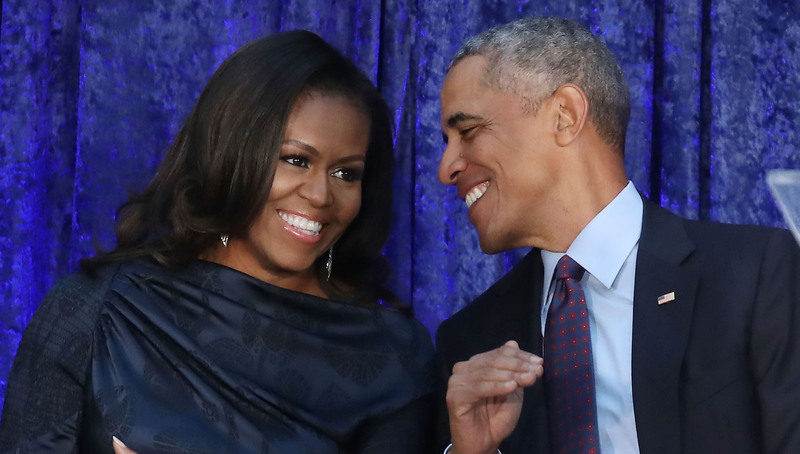 Obama said she's opening up about counseling because she wants other couples to know marriage is hard for everyone — even couples who are viewed as #RelationshipGoals. We love Obama's honesty and openness about therapy — something that's still somewhat taboo and definitely shouldn't be. Of course, most people's spouses won't become president of the United States, but it's common for career changes to upend parenting routines and leave one parent holding down the fort at home while the other travels or burns the midnight oil at a new job. If you're in this situation, remember Obama's basic but oh-so-important words of wisdom:"[M]arriage is hard!" Luckily, marriage and relationship counselors are there to help you work through all the ups and downs of your relationship and parenting.